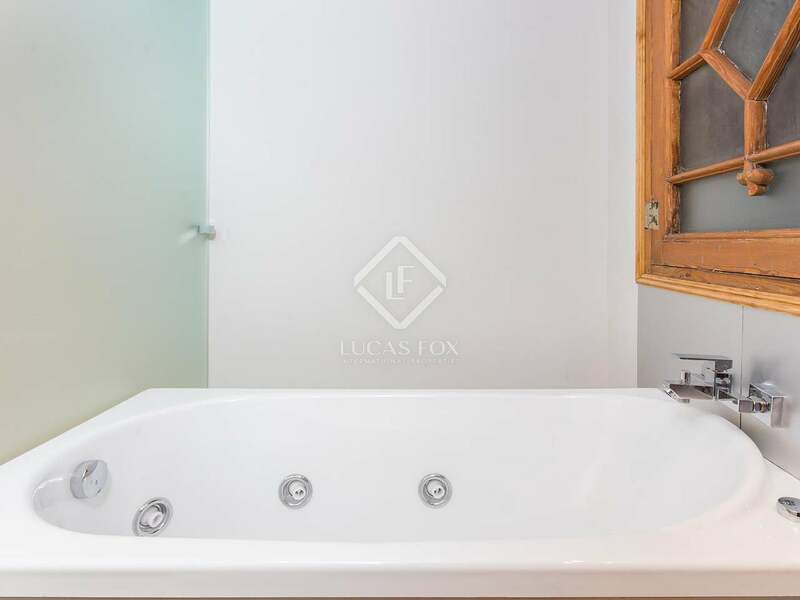 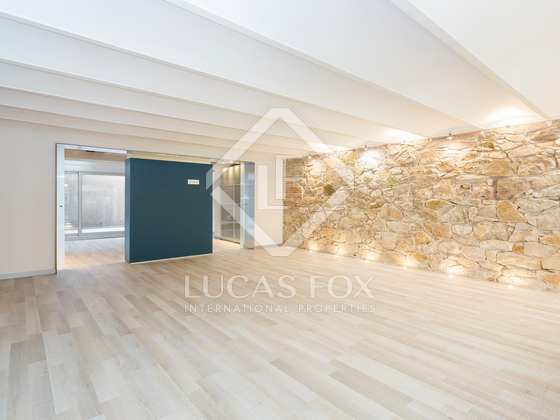 Ground floor loft-style property of 95m² with 1 bedroom,1 bathroom and a private patio. 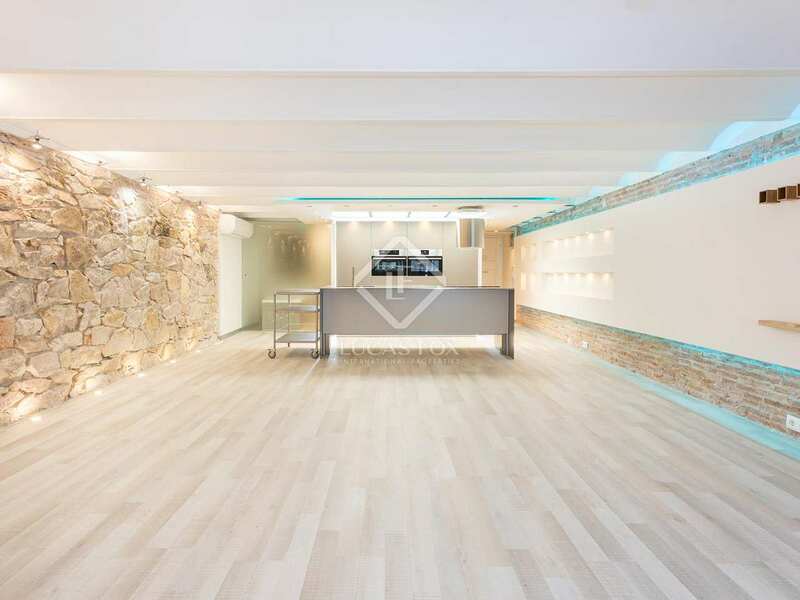 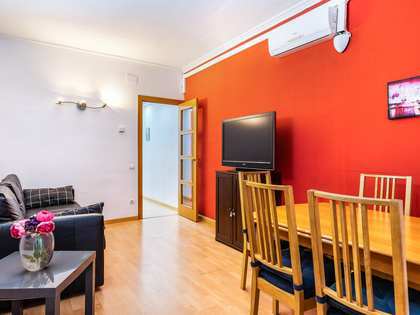 Located in the Golden Square area of the Eixample Right, near Passeig de Gracia. 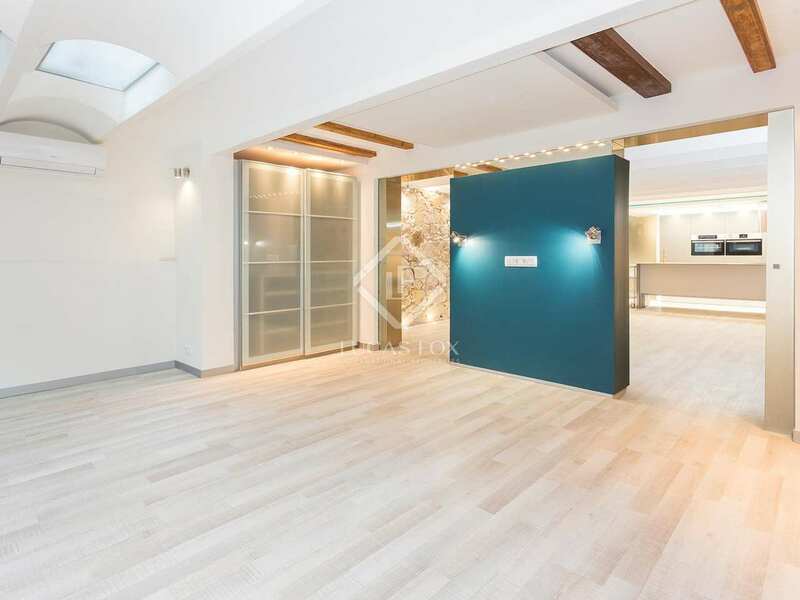 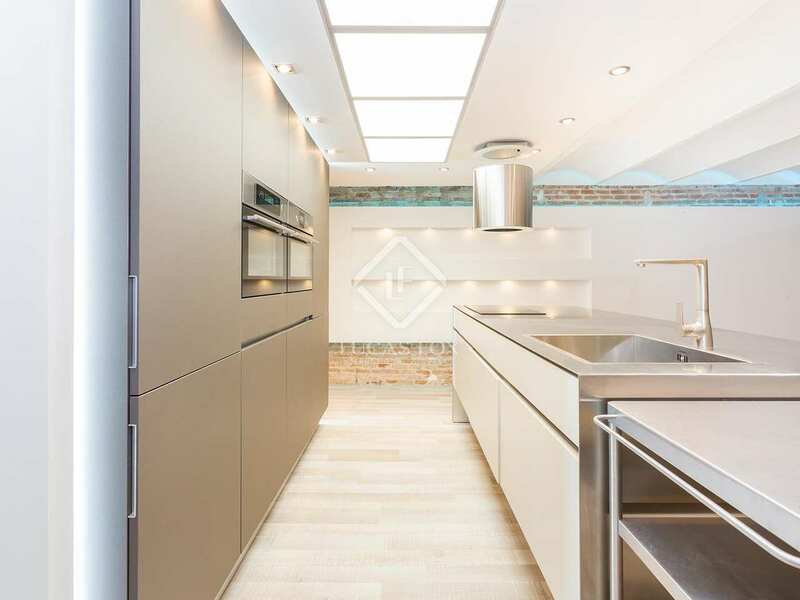 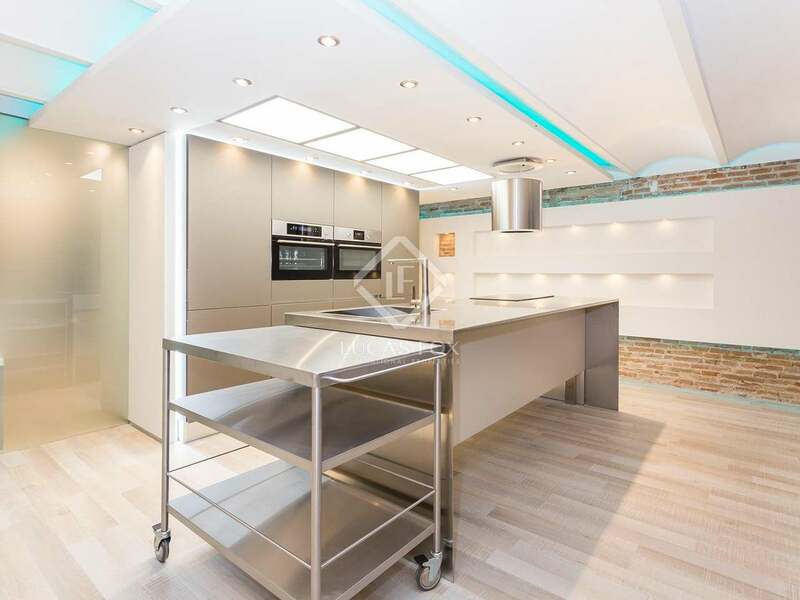 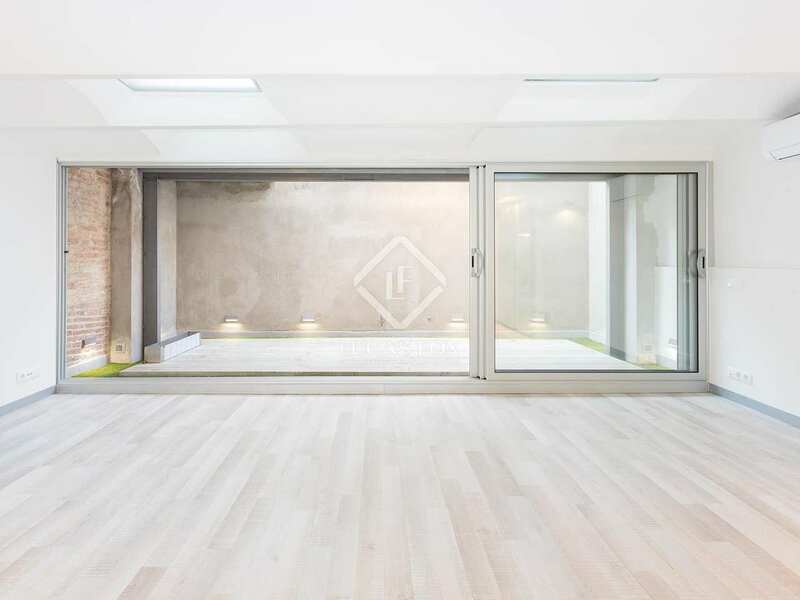 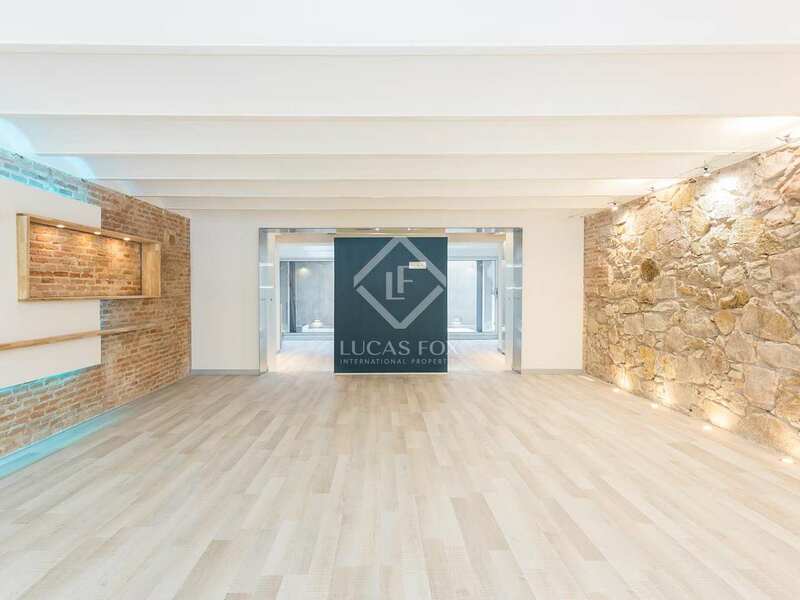 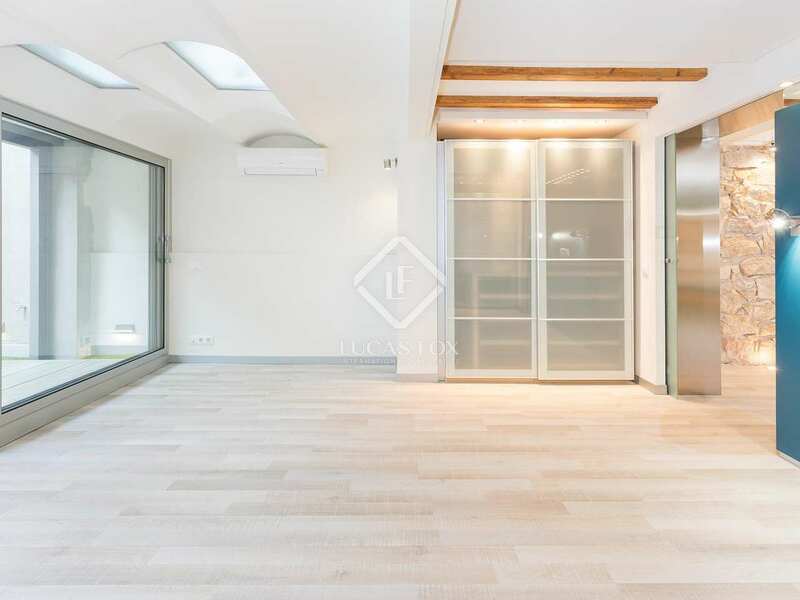 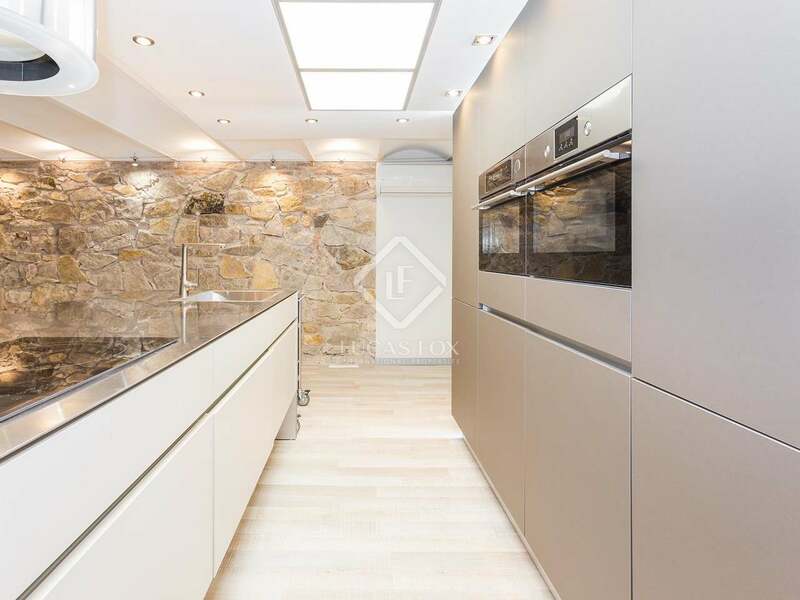 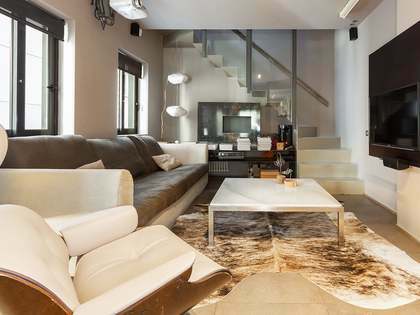 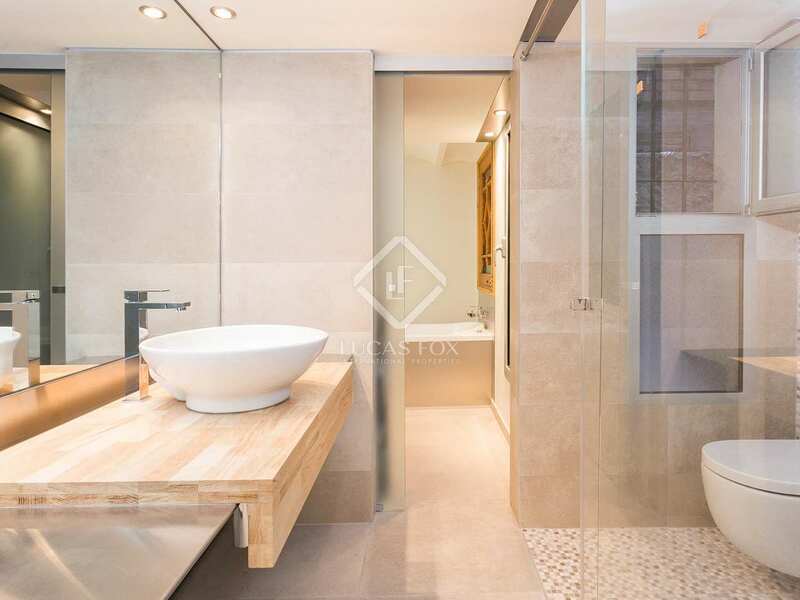 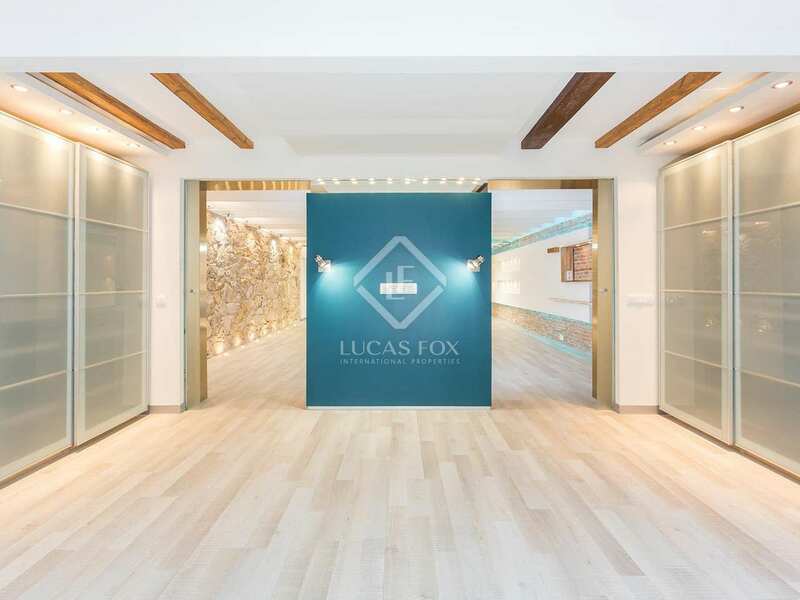 This fabulous, recently renovated New York loft-style property is found on the ground floor of a stately building with a lift in an unbeatable location in the city, next to Passeig de Gracia. 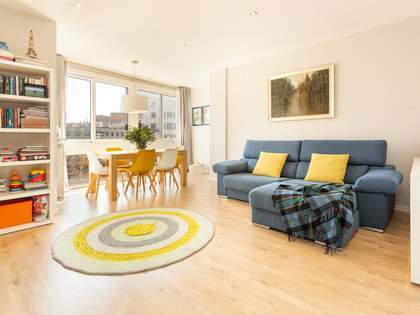 So privileged is this location, surrounded by the best restaurants and shops in the city, that it has been named the Golden Square. 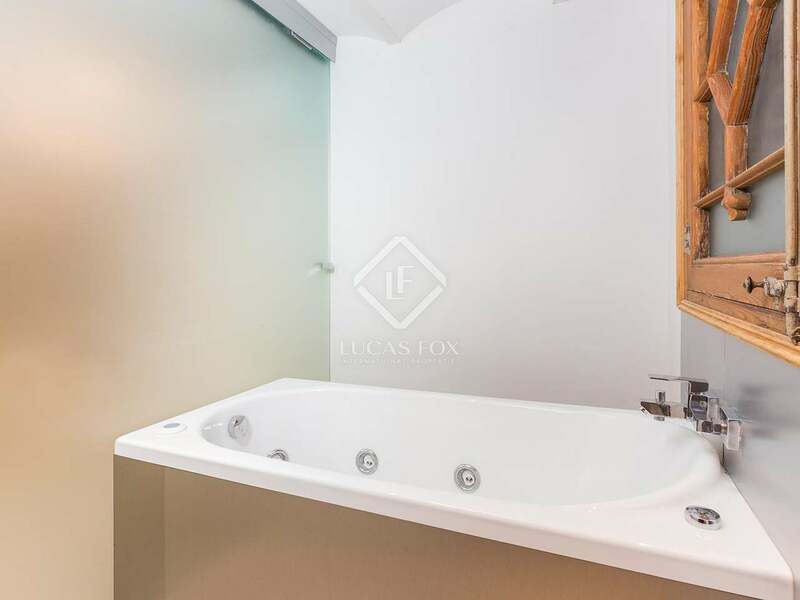 On entering we see that the property consists of wide open spaces which include a huge living room - dining room with an excellent open plan industrial-style kitchen, a double bedroom and a beautifully renovated bathroom with a bathtub and shower. 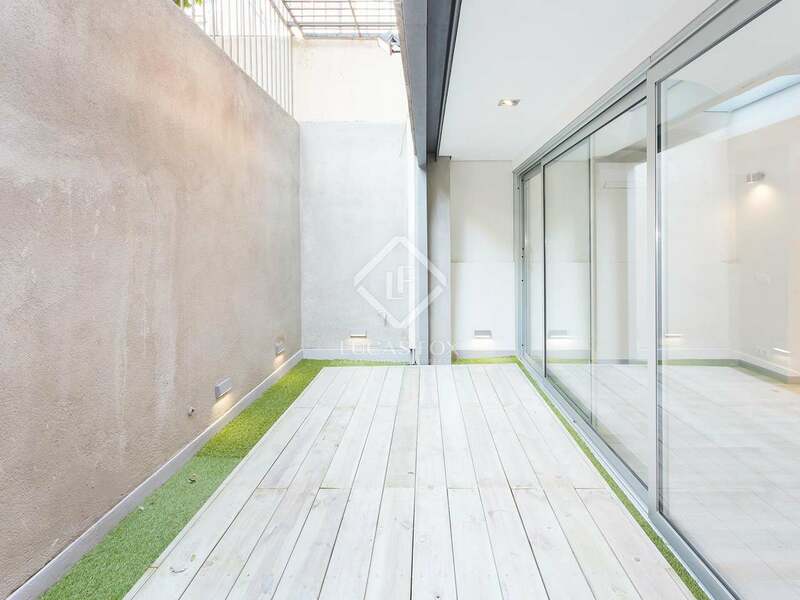 The bedroom leads out to a perfectly maintained private patio of some 12 m². 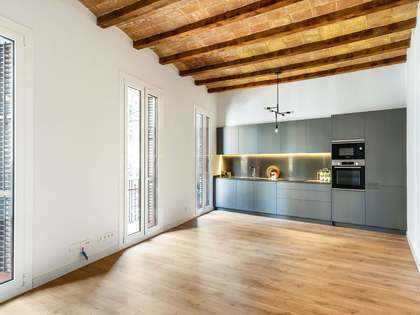 The recent renovation has artfully combined the high-end contemporary finishes with wooden floors, exposed brick and stone walls and the original period features such as the vaulted ceilings and windows with metallic frames. 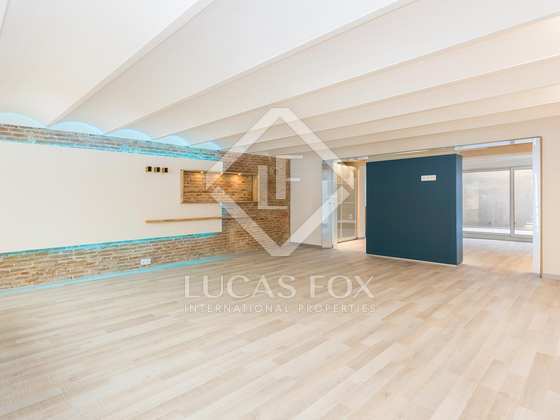 An ideal home for a professional individual or a couple that wish to enjoy the Barcelona lifestyle at its best. 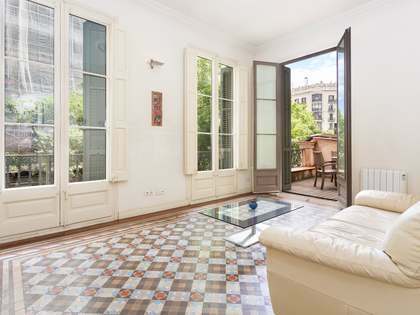 Property in the prime Golden Square area of the Eixample Right, near Passeig de Gracia and Gran Via and surrounded by all of the shops and restaurants on offer in the centre of Barcelona City.